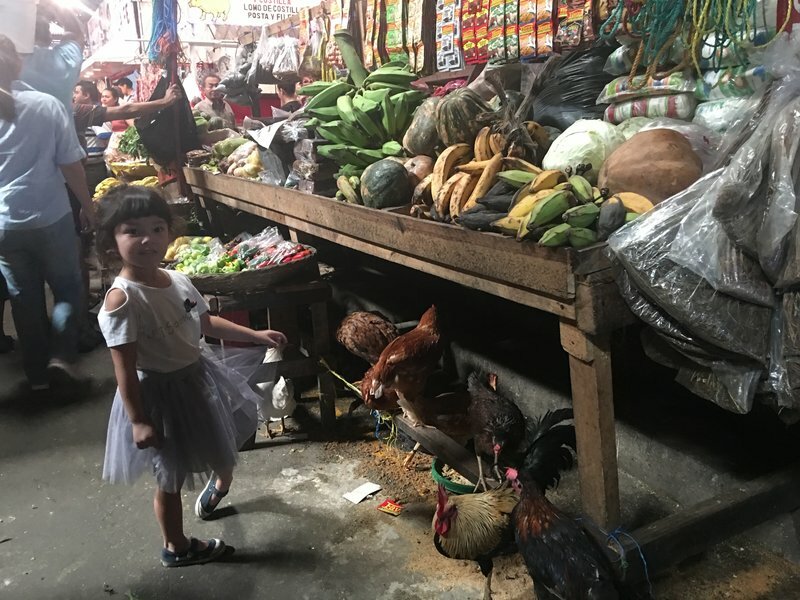 We had only one plan for our last morning in Managua, which was to return to Mercado Roberto Huembes for a killer market meal and perhaps pick up some souvenirs. 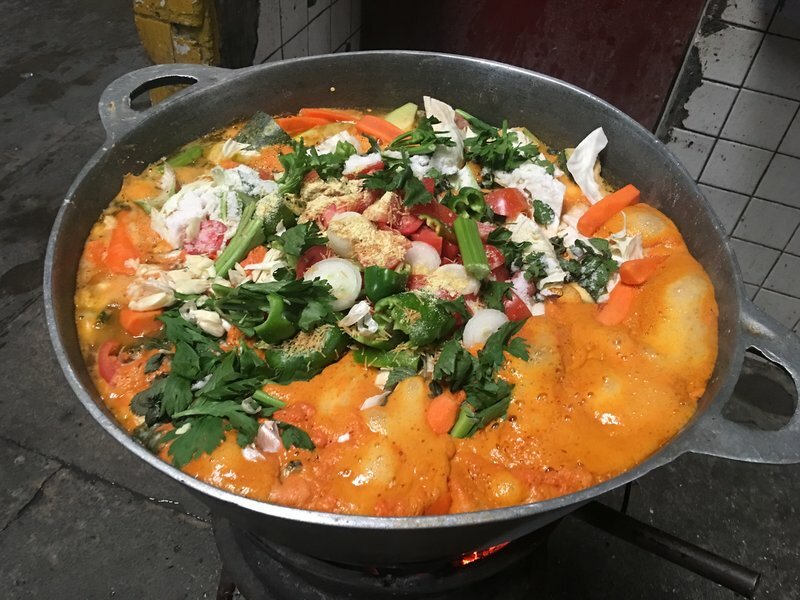 When we arrived around 10, the comedores were just getting set up with huge cauldrons abubble with broth and freshly cut vegetables. At the crafts side of the market, we bought some dresses for Cleo and her friends and a few small souvenirs. 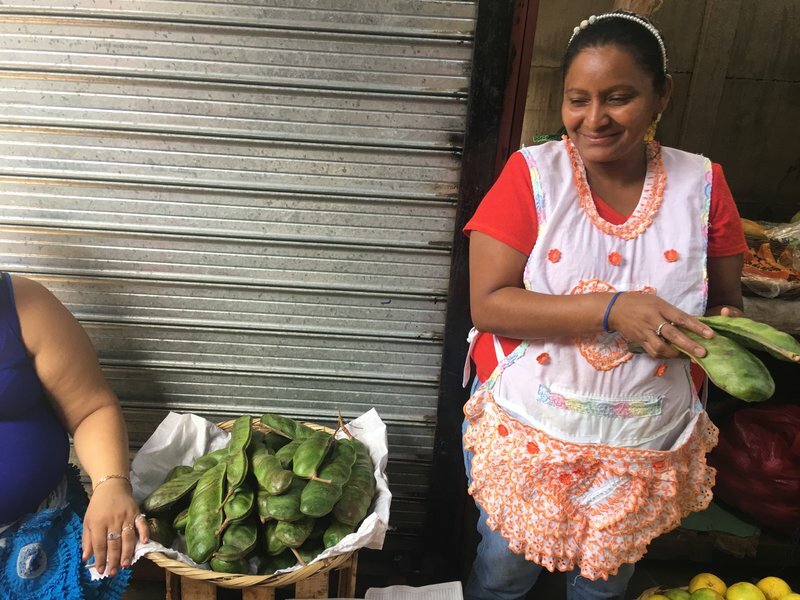 Back in the meat and produce section, I asked one of the iguana vendors if there was anywhere we could eat iguana in the market. She pointed me back to the comedores. Sure enough, once we got there and asked around, we were directed to a stall where we were served a piping hot bowl of iguana soup. 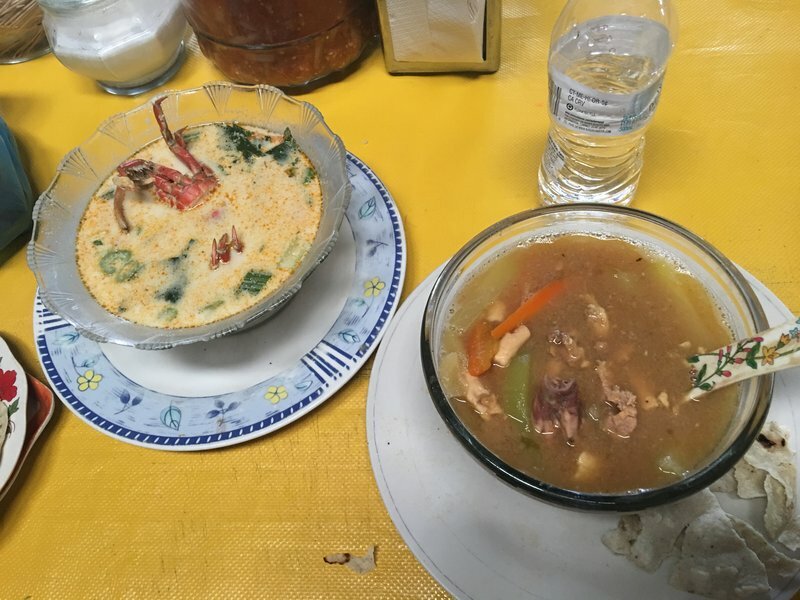 Add another huge bowl of mondongo and a seafood soup with coconut milk broth and we practically had to roll ourselves to the van for the ride to the airport. Just like that, we had finished our second trip to Central America in a year. There was no question we had accomplished much more in Nicaragua than we had in Panama. Part of that was due to Spenser being a year older and us being more accustomed to traveling with three kids, but there's no way we could have gone to all those places without the help of Nicaragua Adventures. One thing I would have changed about our itinerary in hindsight would have been to base ourselves in Matagalpa and just visit Selva Negra for a nature walk and lunch before heading to León. That would have freed up another day to see Esteli or the state of Chinandega. We also could have seen more in Ometepe. I probably should have negotiated with NA or chartered a taxi to take us to the town of Altagracia on our final morning instead of hanging out at the lodge. Overall, I think we got a great overview of the Pacific half of the country. The biggest surprise was enjoying León more than Granada, although Granada has the reputation of being the best city to visit. León may not have any Irish bars, but the vibe was much more authentically colonial. If we ever go back to Nicaragua, it won't be until my youngest kid is old enough to take a three hour hike without complaining (and hopefully I won't be too old to take a three hour hike without complaining). That's at least ten years away, and possibly more if we go for a fourth kid. On the map it looks like we only covered a small area, but most of the center of the country is lightly populated with almost nothing for casual tourists to do. The Caribbean coast and Corn Islands seem more interesting but I didn't come across much in my research to differentiate them from other Caribbean destinations. We've spent a lot of time in the Caribbean, and actually live next to it. One only gets a certain amount to travel time in one's life, and it's incumbent on the traveler to discover those places that will add truly new and memorable experiences. Now that we've proven the concept of a personalized tour or assisted traveling, we'll have lots more opportunities in Central and South America, and maybe even Africa, for winter travel. We were very happy with Nicaragua Adventures and there's a good chance we'll use them again to see the rest of Panamá, since we didn't venture outside of Ciudad de Panamá on our first visit. I haven't decided about Costa Rica, the third country NA operates in. It's got the most developed tourist infrastructure and I think there's a good chance we could do it ourselves once the kids are a little older. If there ends up being a fourth kid, then we'll probably fall back on NA and their large vehicles. I'm buckling down with work for the next couple of months to generate some positive cash flow before we go to Sicily and Malta in April. When June comes round and the kids finish school, we'll set off on our third round-the-world trip to visit Mei Ling's family in China. Our tentative stops on the way there and back are Taiwan and Copenhagen. Happy travels!